Tue., Aug. 28, 2018, 7 a.m. When the Cayuse Mountain fire swept through the Spokane Indian Reservation in 2016, parts of the reservation were without power for five days. Avista Utilities crews couldn’t get into active wildfire areas to replace burned power poles and downed lines. Without electricity, tribal firefighters couldn’t pump well water for fire suppression. The fast-moving fire burned more than 18,000 acres, destroyed 14 homes, came within a mile of the tribe’s administration building in Wellpinit and also approached a tribal housing complex. The extended outage strengthened the Spokane Tribe’s resolve to work toward energy independence, said Tim Horan, the Spokane Indian Housing Authority’s executive director. 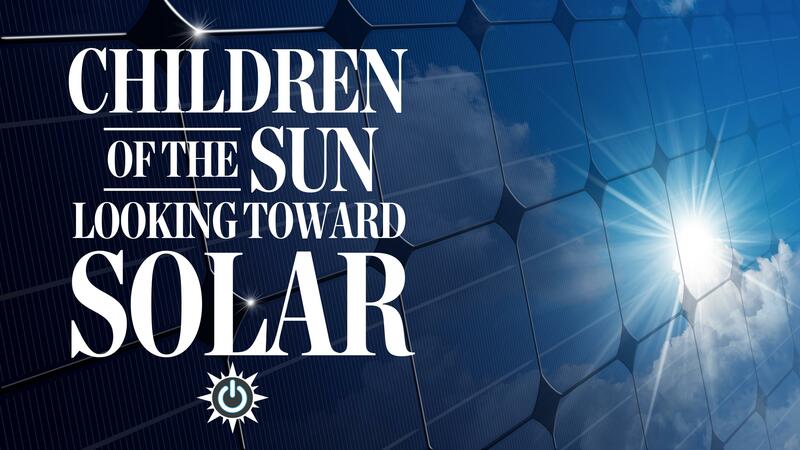 As part of that effort, work will begin on a $2 million “Children of the Sun Solar Initiative” in September. The project will generate 637 kilowatts of solar energy for 14 tribal buildings, including the administration building and 12 multifamily units. The work is part of a multiyear effort to expand solar energy on the sunny, 159,000-acre reservation west of Spokane. Money for the solar project comes from a $1 million grant from the U.S. Department of Energy, nearly $500,000 in contributions from Wells Fargo & Co. and $500,000 from Solar Investors of Wisconsin, which is getting tax credits for participating in the financing. Electricity produced from the sun’s rays will flow into Avista’s grid, resulting in a credit on customers’ bills. Reducing utility costs is another benefit the tribe is excited about, Horan said. Winter heating on the reservation comes from electricity, propane or wood – there is no natural gas. Residential electric bills during December, January and February can top $200 per month. After the tribe previously installed solar panels on six other housing units, one housing tenant saw her monthly electric bill drop from a high of $242 to about $8 per month with the credits, Horan said. Installing the solar panels won’t immediately solve outage issues, said Mary Tyrie, a spokeswoman for Avista, which consulted with the tribe on the project. When the power is out, the electricity from the solar panels can’t feed into the grid. It’s a safety issue for linemen working on the system. In the future, however, the Spokane Tribe plans to install batteries to store the solar energy, or a backup generator, Horan said. “If we had our own microgrid, we’d be able to achieve energy sovereignty,” he said. An Oakland, California-based nonprofit will work with the Spokane Tribe on the solar project, training tribal members in installation and maintenance. GRID Alternatives has installed nearly 3 megawatts of solar capacity on tribal lands through partnerships with more than 40 tribes, said Adam Bad Wound, vice president of development. The work on the Spokane Reservation will finish in 2019. Wells Fargo planned today to announce $5 million in charitable giving over three years to support solar projects in tribal communities. The Spokane Tribe’s project is the first to be funded. “Our goal was to find projects that were shovel-ready that we could get across the finish line,” said Mary Wenzel, head of Wells Fargo’s Sustainability and Corporate Responsibility. The contribution from Wells Fargo filled a funding gap, allowing Spokane Tribe’s solar project to move ahead, Horan said. The $5 million for solar panels is part of a larger, $50 million commitment from Wells Fargo over five years to address economic, social and environmental needs in American Indian and Alaska Native communities, according to the bank. Published: Aug. 28, 2018, 7 a.m.